Wonderful Sale in West Toledo!!! AddressThe address for this sale in Toledo, OH 43613 will be available after 9:00am on Wednesday, May 1st, 2019. 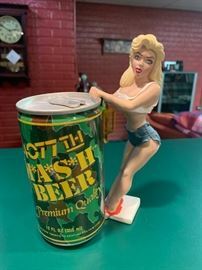 Bottoms Up Beer Can Holder w/Mash 4077th Beer! 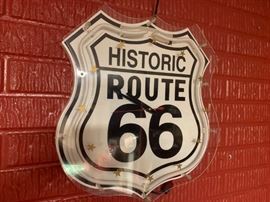 Historic Route 66 Neon Sign/wall Clock! Vintage 70's Coca-Cola Regulator Wall Clock! 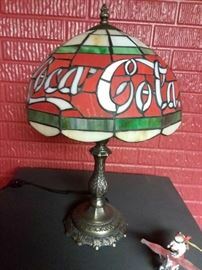 Coca Cola Tiffany Inspired Faux Stained Glass Lamp! 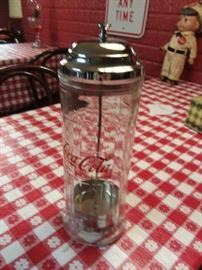 Vintage Coca Cola Straw Dispenser! 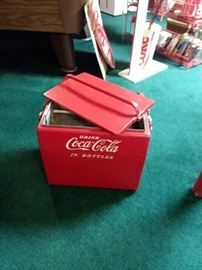 1950s Coca Cola Cavalier Cooler Chest w/Lid! 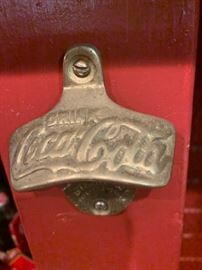 Vintage Coca Cola Starr X Wall Mount Bottle Opener! 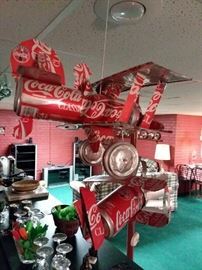 Planes Made out Real Coca Cola Tin Cans! 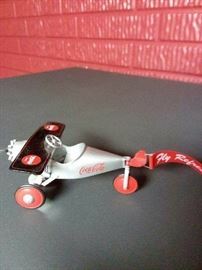 Coca Cola Advertising Plane Pedal Toy Replica! 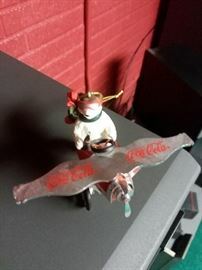 Rare Coca Cola Polar Bear Ornament! 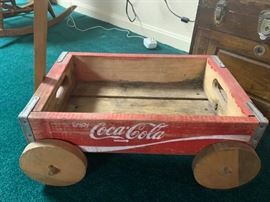 Vintage Coca Cola Wood Wagon! 5'5" Coca Cola Ice Cooler Display! 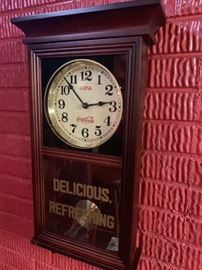 Vintage Coca Cola Wall Clock! 1996 Olympic Torch Relay Coca Cola Banner! Vintage Donasco Coca Cola Bottle Thermometer! Coca Cola Buddy Lee Style Delivery Boy Doll! ERTL Coca Cola Die Cast Red Semi Bank #1546G! Kay Lamb Shannon Print of General Store! 1955 Coca Cola Advertisement Ad "Nothing Like a Coke"! Coca Cola "Boy Fishing" Afghan! Vintage Wood Coca Cola Crate with 20 Unopened 6.5 oz Bottles! Vintage Picture Coca Cola Girl Driving & Drinking Coke From Bottle! Miller Draftin' Indy Style Mirror Plaque Bobby Rahal 1992! Coca Cola Bike Seats from Vintage Huffy Promotional Bike 1980s! Frozen Moment Diet Coke Pouring into a Cup! 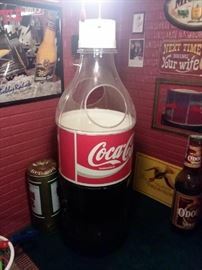 Vintage Coca Cola Gas Station Clock! Coca Cola Celebrate Mickey 2004 Tour Carrier Semi Truck/Box! Coca Cola Santa 2005 Corvette Carrier Semi Truck w/Box! Coca Cola 2003 Off Road Carrier Semi Truck w/Box! Coca Cola 2002 Nascar Carrier Semi Truck! 3 ft Inflatable Beer Bottle! Pair of Lite Wall Sconce Lights! Vintage Pabst Blue Ribbon Plaque! Olympia Beer Plaque Woman Riding Bottle! Vintage Molded Plaque Falls City Beer Draw One - Mattel Advertising Displays! Detroit Red Wings "Celebrate on Ice" 2002 Stanley Cup Championship Plaque! Rare Vintage Tin "Fire" Arrow Sign! Vintage Red Carousel Cast Iron Gumball Machine! Vintage Kerosene Hurricane Lamp w/Pebble Drops Base! Unique Jack of Hearts Lighter! Couch & Matching Love Seat!